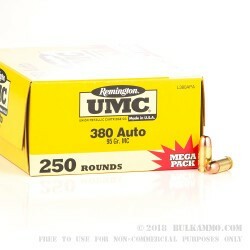 A mega pack of great .380 ammunition for your hard to feed firearms. This is a very forgiving round that helps cure the break in issues that come with most small framed .380 Autos. 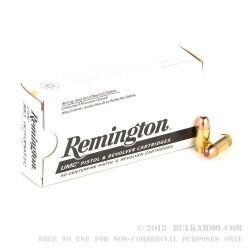 The Remington UMC brand name and product line are a known entity in the shooting world and the reliability and credibility the company and product has is excellent. 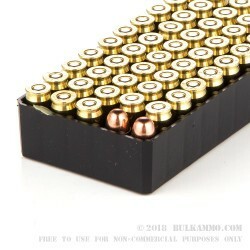 This is a 250 round package of ammunition which features a 95 grain projectile in a copper clad full metal jacket profile. 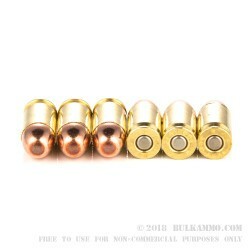 The Boxer primed brass can easily be reloaded and UMC brass is known for its high quality and multiple reload capability. The simple, large grain weight projectile feeds well in many mainstream factory offerings and the cases are able to be extracted easily by many firearms. This is a round that is loaded to the high end of the spectrum for power, giving the best chance for your new small framed .380 Auto to work with this cartridge. Note that some .380 ACP’s are very particular about loads that they like and dislike in the early break in period. Not all ammunition is guaranteed to work. This is a result of tight springs and the mechanical functionality of the operation of the firearms, not the ammunition having some deficiency. Even some of the best ammunition in the world has this problem in certain firearms. This is a really good price for the .380 ACP ammo. I received my order very fast. I shot all 250 rounds in a brand new Walther PPK/s for a concealed carry class and the ammo preformed flawlessly. Q: Would this product be recommended for my Ruger .380 ACP? And other than the customer reveiws, what makes this such a great product? I love my little pocket pistol but for such a small gun it has a big kick, is there any ammo that would reduce that while still being reliable? Thank you!! A: Yes, this ammo would be recommended for a Ruger LCP. Because recoil is a function of weapon weight, projectile mass and projectile velocity, you should look for lighter bullets that are not loaded to high velocities. That said, if the rounds are too weak, they won't cycle the slide. A great compromise on this is the Fiocchi 90gr JHP. It is accurate, reliable, and about as low recoil as you can get in the .380 caliber.